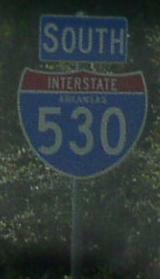 Interstate 530 is a north-south expressway in Central Arkansas. This links the Little Rock Metro Area to the Metro-Pine Bluff Area. The whole lenght of this highway is multi-plexed with U.S. Rt. 65. 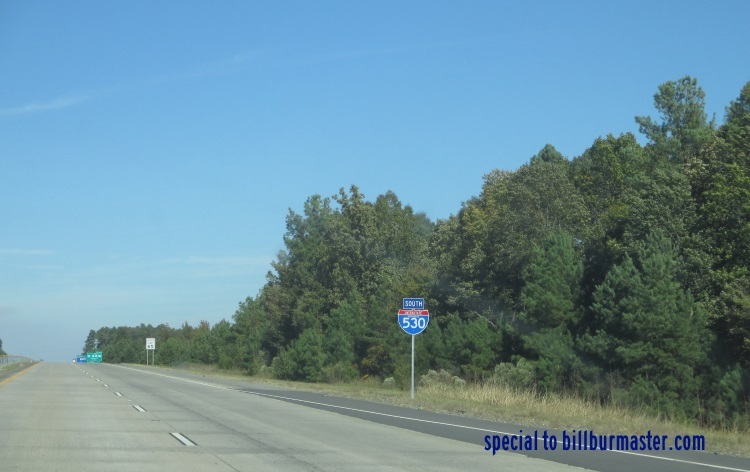 At Pine Bluff, I-530 loops around the southside of town. 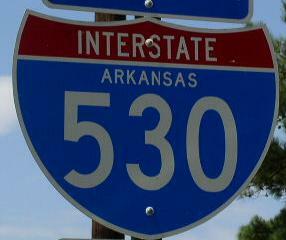 While in Arkansas, I-530 is multi-plexed. ...U.S. Rt. 65, from Little Rock to Pine Bluff. ...U.S. Rt. 167, from Little Rock to near East End. 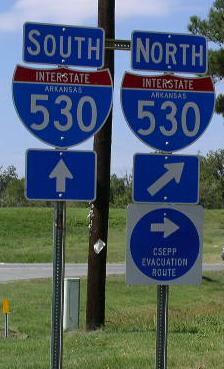 In Arkansas, Interstate 530 crosses the following interstates. 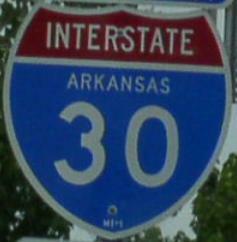 Interstate 30, at Little Rock. Overhead sign on WB I-30. 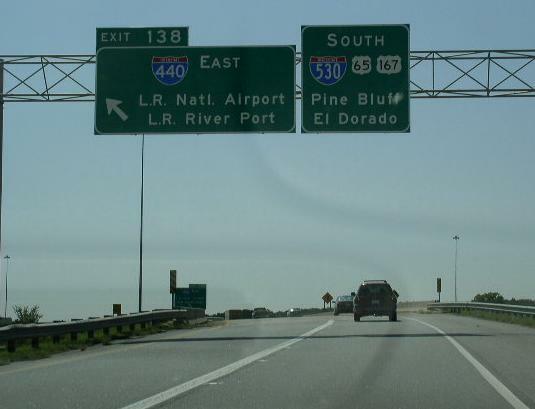 Interstate 440, at Little Rock. Info on I-530's parent route. A set of guide markers on WB AR St Rt 338. A guide marker on U.S. Rt. 270. 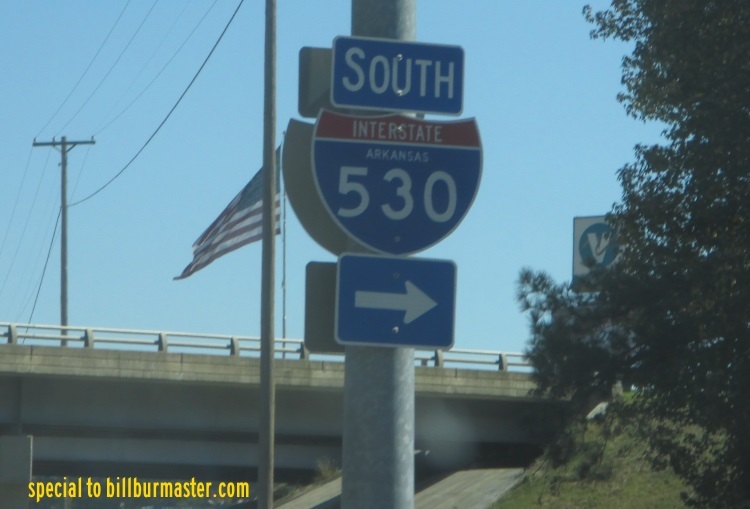 SB I-530 south of U.S. Rt. 270.